A Booklet printed with a 4-color process is a strong marketing tool to highlight and describe your products and services. Glossy paper and product photos and descriptions, can make sure your customer becomes a regular customer. Color Booklets are a fantastic option for affordable direct mail to customers and inclusion in trade journals, product manuals, sales promotions at trade fairs and inclusion in the annual business reports. 4 color product booklets are also a brilliant way to enhance product sales. 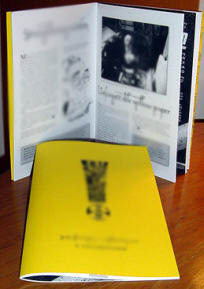 Product booklets, also known as catalogs, can be printed in full color schemes or simple black and white. With the click of the mouse you can quickly find affordable online quotes for Booklet printing and book printing with all the relevant details about color schemes, size and the paper quality to be used in your book. The 2nd most popular binding options available are saddle stitching and perfect binding. Saddle stitching generally has 2 staples in the spine and perfect binding has a glued spine with a square finish. Booklets are very important documents that can make a very positive statement about your company.